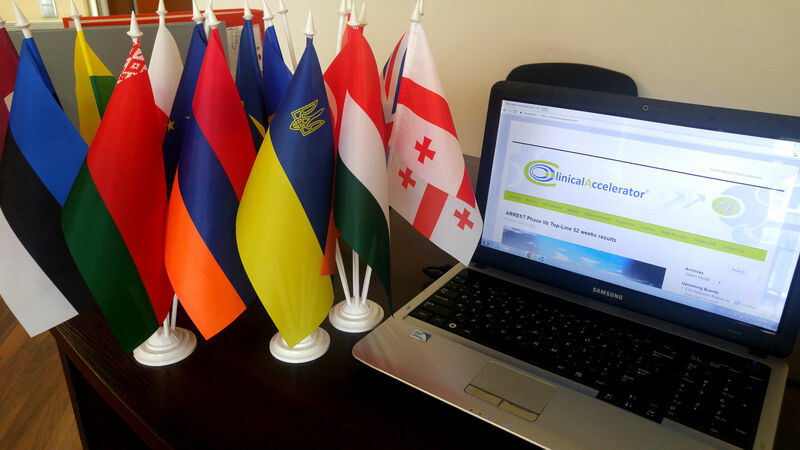 Clinical Accelerator is a clinical CRO with a special focus on Central and Eastern Europe currently operating in 11 countries of that region: Bulgaria, Estonia, Georgia, Hungary, Latvia, Lithuania, Moldova, Poland, Romania, Russian Federation, and the Ukraine (listed alphabetically). The quality of clinical trial data originating in our countries of operation and its acceptance by the FDA is a frequent topic of discussion with Clinical Accelerator’s partners and clients. In this post we present an analysis of the latest data made available by FDA. We know first-hand that the clinical trials we conduct in Central and Eastern European countries produce data meeting all the standards set by regulatory agencies around the world. However, we’re also aware of the misconception that clinical research carried out in this region does not conform to the standards of data quality and Good Clinical Practice seen in Western Europe and Northern America. How do countries in Central and Eastern Europe compare with the rest of the world? Today, clinical trials operate on a global stage. According to the latest report of Office of Inspector General, US Department of Health and Human Services, more than 80% of the US FDA approved marketing applications now contain data acquired outside the US. Our countries of operation are well established contributors to this. According to clinicaltrials.gov, for example, there are 5535 registered trials in Poland, 4080 in Russia, 3454 in Hungary and 2210 in Romania. It is unsurprising then, that the FDA is increasingly interested in foreign sites involved in conducting clinical trials. Central and Eastern Europe (CEE) is a major contributor of investigative sites to global clinical trials, currently providing 11% of all sites worldwide. The region is especially attractive to sponsors thanks to the excellent levels of patient recruitment that are characteristic of CEE countries. The average reported recruitment rate in CEE is of 10.3 patients per site compared to 7.5 per site in Western Europe. In Central and Eastern Europe, our countries of operation are amongst some of the highest ranking for the number of sites participating in industry-sponsored clinical trials: Poland (4320), Czech Republic (2201), Hungary (2115), Ukraine (2002), Romania (1618) and Bulgaria (1004). The number of sites participating in clinical trials in the Baltic countries stands at 386 for Lithuania, 320 for Estonia and 319 for Latvia. By the number of sites participating in FDA-overseen clinical trials, Russia is currently ranked No. 2 in Europe (after Germany) and No. 4 in the world (after US, Canada and Germany) with 3340 sites. The Ukraine is also climbing up the list fast, currently being No. 11 in Europe and No. 19 in the world with 1141 sites. For comparison, there are 2831 sites overseen by FDA in the UK and 1866 sites in India. It is unsurprising that facilities operating in CEE have attracted scrutiny from the FDA, given the high number of clinical trials being operated in the region. In the last decade, 300 FDA inspections of Bioresearch Monitoring have been carried out in our countries of operation in CEE. The majority of inspections have been conducted in Poland (109)- pushing them up in ranking above Canada (88) and Germany (96). Other contributors to the number of FDA inspections in CEE are Hungary (34), and Romania (31), Russia (67), Ukraine (29), Latvia (4), Lithuania (6), Estonia (3) and Georgia (17). Based on the most recent statistics available, our own analysis of FDA inspections outcomes based on the top 5 most inspected countries shows that our countries of operation such as Poland and Russia outperform Canada, Germany, and the UK. In the last decade, the percentage of NAI inspections (no objectionable conditions or practices were found during the inspection) was higher in Georgia (100%), Romania (74%), Ukraine (72%), Russia (66.3%), Hungary (65%) and Poland (58.5%), compared with Canada (54.4%), Germany (47.8%), and the UK (42.1%). For inspections where action was indicated, the average number of deficiency codes in Russia (1.24) and Poland (1.44) was lower than in Canada (1.67), the UK (1.95) and Germany (1.89). Repeated analysis of FDA inspection data has shown what we’ve always believed at Clinical Accelerator – that clinical trials conducted in CEE are of an equally high standard to those carried out in Western Europe and Northern America. We believe that all the extensive evidence of the quality of clinical trial data in CEE acquired as a result of FDA inspections over the last 5 years should be very reassuring for international companies considering placing their clinical trials in these regions. We will continue to monitor the data coming from FDA inspections and will re-visit this topic again in one of our future posts. This entry was posted in Central and Eastern Europe, ClinAccel.Net, Clinical Accelerator, FDA. Bookmark the permalink.